It's International Youth Day! 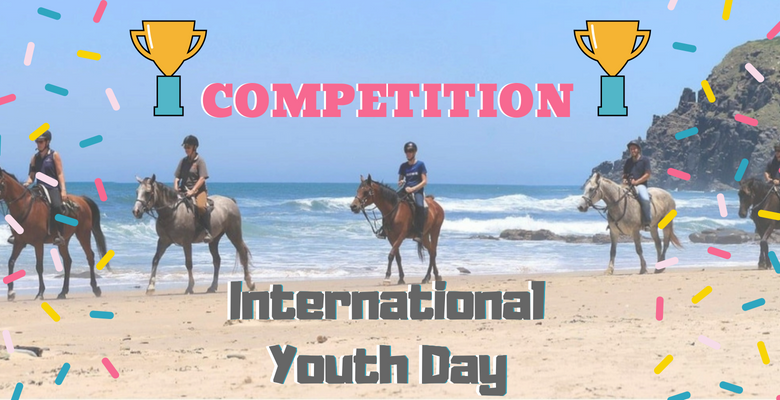 Time to treat the kids and win them a dream horse riding experience across the beautiful beaches of Kei Mouth. That will definitely get you in the parents of the year book!! 1. Click here to go to our Facebook page. 2. Comment below the competition post your answer to: What your child would want to name their horse? 3. Now just wait and find out who the lucky winner is! The voucher give away competition closes at midday on the 19th August and one UK winner will be revealed on the 20th August 2018 at approximately 12pm GMT. Entrants must only comment their chosen survival tool on the Facebook post for their chance to win. The winner will be picked at random by a member of the Experience Days team. The winner will be announced at the time mentioned above. They will be informed by a Facebook Status and we will reply on their own comment under the competition post. There is one prize being given away, which is a voucher for two for the Beginners Beach Horse Riding in East London. Entrants must have a valid email address to enter in this competition, to be able to receive their prize. The maximum weight for a participant is 95kg. By participating in this prize draw, entrants confirm they have read, understood and agree to be bound by these terms and conditions. *This promotion is in no way sponsored, endorsed, administered by, or associated with, Facebook. The prize gift vouchers comply with Experience Days Terms & Conditions (UK, ZA).